Have you found love to be difficult, challenging, confusing, or painful? Do you wonder why love isn’t appearing in your life? Why does love seem to have bloomed in everyone else’s life, but not in yours? Here’s the thing—you might be thinking that love is independent of everything else that’s going on in your life. You can be the way you are and live your life with ego, fear, and lack, but still expect that love will show up. Unfortunately, it doesn’t work that way. Until you deal with some of your internal blocks, fears, and judgments, love will seem far away and hidden. How you view the world, how you view each person, and how you treat others in all your relationships determine the ways in which love shows up in your life. Your internal judgment, ego, and unkind behavior, even if held only in your mind and heart, affect your relationships. More than likely, you need a radical shift in your perspective, behavior, and mindset to create a space of love. Create miracles in your love life. 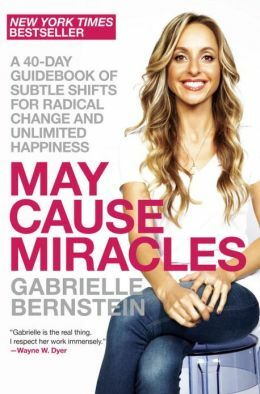 Gabrielle (Gabby) Bernstein’s book, May Cause Miracles, could be the heart opener for which you’re looking. It was for me. Do you need a love miracle? It helped me realize that love is not something for which you go outside looking. Love is something that you first must cultivate inside yourself. The book helped me see that many of my thoughts about love and relationships were steeped in my own ego, fears, judgments, and resentments. My internal world, mindset, and self-talk literally created my external relationships and determined the people whom I drew into my life. Her book is filled with affirmations, meditations, and tools for shifting your mindset and altering your perspective on love altogether. She teaches us to consider love holistically. In any situation, the only thing missing is love. When there is fear, there is no love. She considers miracles simply shifts in perspective from fear to love. When you continually shift from fear to love, you will experience more love in your life in all your relationships—including romantic love. 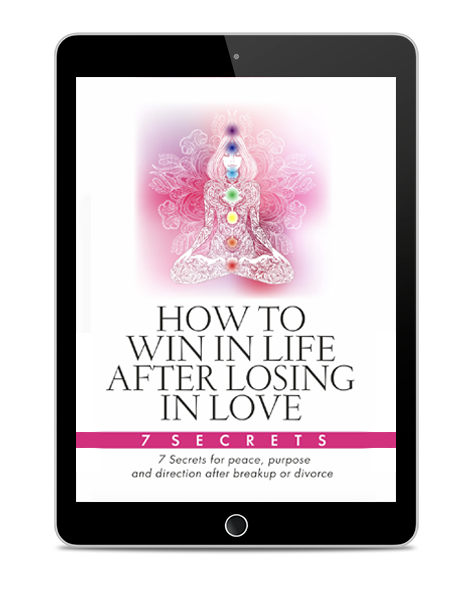 Are you ready for a miracle-minded approach to love? Gabby’s book is a 40-day guide for subtle shifts that let you see everyday miracles in your life. Following, I review the six days in week 4 during which she talks about relationships. Here are six ways to shift your mindset to love so that you’ll see more miracles in your love life. 1. Witness your ego’s drama. Gabby states that it’s the ego that convinces us that we’re alone, and that encourages us to complete ourselves by finding someone else. Our egos are the reason that we go out looking for a romantic relationship to feel whole. The ego consumes our lives and, especially in romantic relationships, judges, attacks, compares, and makes our significant others feel more special. Our egos encourage us to feel different and special, and to elevate ourselves in our romantic relationships as well. Gabby suggests that we become more mindful of our egos in all relationships. Start by witnessing your ego’s false perception of others. Ask yourself who you judge and attack in your mind. Who do you elevate and make more special? How do you make yourself feel more special? 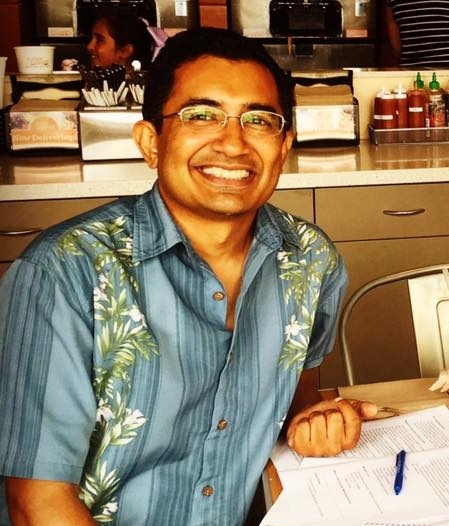 To whom do you compare yourself? It’s very difficult to overcome the ego, which is so pervasive in our lives. Gabby encourages us to surrender—to release ourselves from our egos’ grip by releasing our egos to our inner guides (our voices of love, our internal teachers). Release your ego for healing to your spirit and inner guide. Go within yourself and choose to see everyone as equal. See everyone as love. Ask the inner guide to teach you love through every encounter you have (not just with your romantic partner). Surrender to your inner guide to heal your ego and to see the oneness in everyone. 3. Use kindness when the ego runs wild. Use the tool of kindness to remind yourself that you come from a loving, kind place and that thoughts of kindness will help you remember your truth. On Day 24, Gabby suggests making kindness your primary goal and to allow genuine altruism and authentic love. Whenever you judge, feel separation from others, or start attacking others in your mind, use an affirmation like “Kindness created me kind,” or something similar. Look at your thoughts and actions—are they unkind? Become aware of unkind thoughts. Reflect on how they make you feel, and forgive yourself for your unkind behavior. “By continuously acknowledging your ego’s behavior, you will weaken the bad habit and transcend the ego’s need to judge,” writes Gabby. Continue to infuse your day with kind affirmations and intentions so that you are more kind to people. 4. Be aware of your thoughts and judgments of others. When you judge or attack someone in your mind, you likely do so because you feel a place of lack. Your judgment of others can mirror what you feel about yourself. “When we send love toward what we want, we feel better about ourselves and thereby experience more love in our own life,” Gabby writes. Start looking at all your relationships as assignments—opportunities for spiritual growth. Infuse with loving thoughts all your encounters with people whom you meet each day. Be grateful for the lessons and the growth that different people teach you. Remember that each person you come across gives you the opportunity to strengthen your miracle mindset through the choice to embrace love over fear. 5. Be happy or be right? The F word. While the ego refuses to forgive, you can use the F word (forgiveness) to restore your faith in love. “Forgiveness is the answer to true serenity and peace,” writes Gabby. If you’d rather be happy than be right all the time—forgive. Forgiveness lets you wipe clean the slate and begin anew. It embraces oneness and love in all your relationships. Every time your ego is bruised or your mind attacks or judges someone, fall back to peace by forgiving. Chose peace and happiness over your ego (and being right). 6. Honor the moments when you chose love. As you expand your loving intention toward everyone, spread kindness to others, and forgive others throughout the day, you’ll feel a sense of peace passing over you. Honor the moments when you’re transforming and growing. Continue to see love in your most difficult relationships. Find peace and healing in every relationship and encounter that you have. Chose the difficult path of letting go, overcoming, and forgiving. Transcend your fear through your faith in miracles. Think of every moment that you chose love as a holy moment—a divine encounter. Sit with these moments and let them help you become a more loving person. In your meditations and prayers, ask that others in your life be guided, protected, and healed from fear. Desire that others have the same happiness and oneness that you have in your life. Gabby’s book and message are reminders that you can’t simply focus on one special or romantic relationship. Everything in the universe is tied together. How you show up for your neighbor or a total stranger is how love will show up in your life. If you’re not seeing love and you don’t know why, could it be because you’re not showing up in your most loving, kind, and non-judgmental self each day? If you’re operating from a place of ego, fear, and lack, you’ll see that in your romance. Alternatively, if you show up with kindness, love, and abundance, you’ll find that in your relationships, too. The work to be done is within you. Make the necessary changes to become the loving person whom you’re capable of being. Return to your truth. You’ll not only start seeing improved relationships, you’ll also miraculously stumble upon the romantic love and partner for whom you’ve been looking. If you know someone who is looking for love in his or her life, please consider sharing this post via Twitter, Google+, or Facebook. Thank you.